MediaHuman Audio Converter is a freeware for Windows. It can help you in case you need to convert your music in WMA, AAC, WAV, FLAC, OGG or Apple Loseless format. This program was designed to simplify as much as possible the process of conversion. 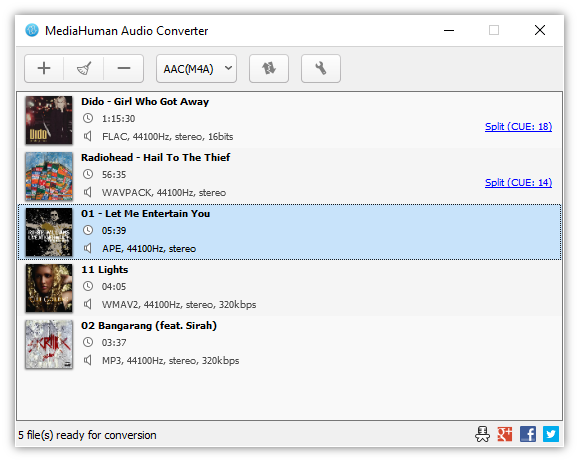 MediaHuman Audio Converter is a freeware for Windows. It can help you in case you need to convert your music in WMA, AAC, WAV, FLAC, OGG or Apple Loseless format. This program was designed specially to simplify as much as possible the process of conversion. At the same time, it gives you an opportunity to adapt it to your needs. That`s why the interface of the program is simple and intuitive, very easy to understand. AudioTime lets you schedule your Windows computer to record or replay audio at certain dates and times or regular times on certain days of week.